Kraiburg TPE, a producer of thermoplastic elastomers in Germany, is preparing for commercial production using Shell Risella X, a process oil derived from Shell’s Gas to Liquid (GTL) technology. First tests by Kraiburg TPE showed improved compatibility in the TPE matrix due to the chemical structure of the oil. The company notes that this is a novel try in the TPE sector. 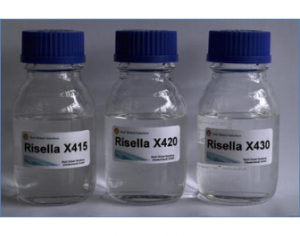 As the basic building block for Risella X is natural gas rather than crude oil, Shell Risella X has a different chemical structure to conventional mineral-oil based process oils, according to Kraiburg TPE. GTL, developed by Shell, enables large scale production of base oils for the manufacture of finished lubricants and process oils from clean burning natural gas.